Republican Donald Trump today spoke to reporters in Dubuque, Iowa. Trump shocked reporters when he deported Univision anchor and activist Jorge Ramos from his press conference. 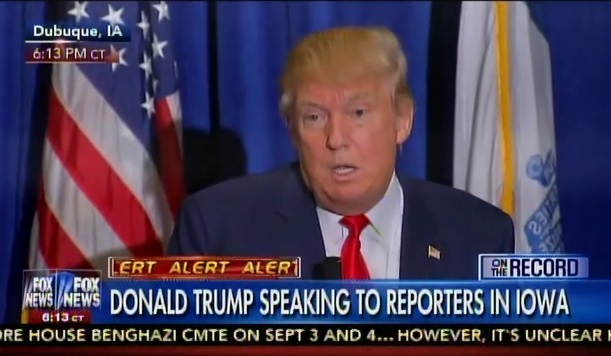 Trump went on to say FOX News covers him terribly. He also praised TIME Magazine and Drudge Report. “I think they cover me terribly. And I’m winning by double digits in every poll. Maybe it matters maybe it doesn’t. I don’t think I get good coverage from FOX. They certainly cover me a lot… I think they give me very bad treatment. And a lot of the people that like me think they treat me terribly.